Well obviously, Cannabis seeds are seeds that are harvested from the Cannabis plant. And because Cannabis is a dioecious plant (meaning that you would be able to find male plants as well as female plant in a Cannabis field) the seeds are harvested from the female plants. In this Article we cover the different cannabis types and where to buy cannabis seeds. While this is good in the sense that seeds are needed to grow new Cannabis plants, it is also a schlep because quality flower harvests cannot be produced once the female plants are fertilized by male plants. The reason for this is the fact that the resinous flowers that are desirable in a quality harvest will be full of seeds, and practically useless. This scenario is almost certain to produce a good crop. But because Cannabis has to grow new plants each season in order for the species to continue to exist, seeds are necessary if one wants to continue producing Cannabis. The problem, however, is that a new beginner can find it difficult to identify male plants in order to cull them from an entire field of Cannabis plants. A solution for this problem has been found in the natural tendency of certain Cannabis plants to bear male- as well as female flowers under certain circumstances when the plants can becomes stressed about being able to keep the species going. This is known as the hermaphrodite condition, and sometimes these male flowers will produce viable pollen and self-pollinate the surrounding female flowers to create seeds. Researchers have found that by manipulating the hermaphroditic gene in the plants, they can make sure that all seeds from a harvest will produce female plants. These seeds are called “feminized” seeds. 1 What are Feminized Cannabis Seeds? 3 What are Auto-Flowering Cannabis Seeds? 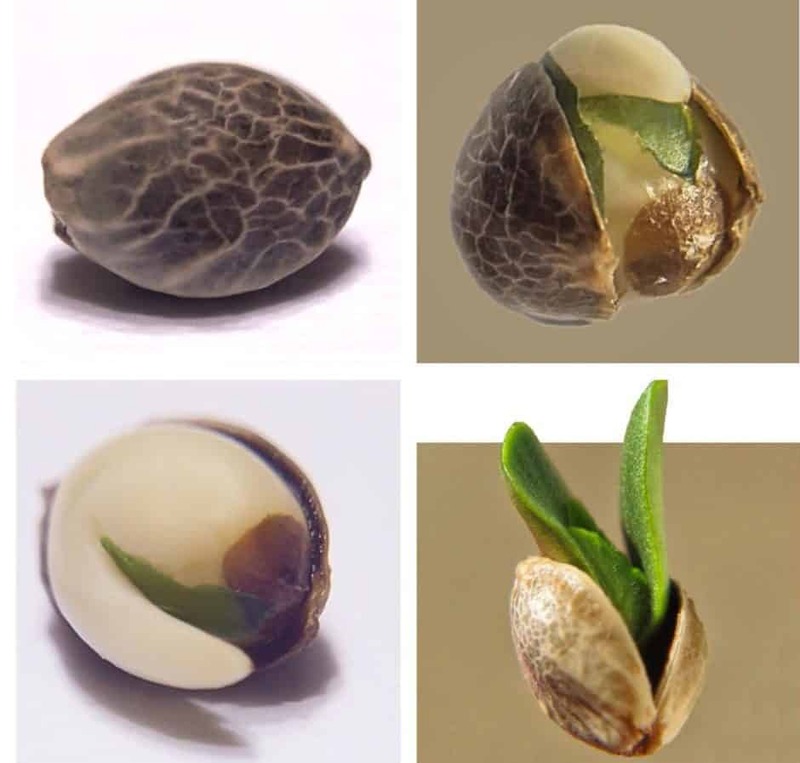 5 The Difference between Cannabis Seeds and Cannabis Clones. 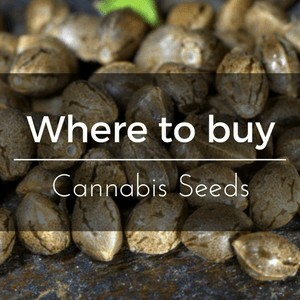 6 Where to buy Cannabis Seeds? Feminized Cannabis seeds are seeds that were produced by fertilizing a hermaphroditic female plant using the pollen from a male flower found on the same hermaphroditic female plant. You can also harvest pollen from the male flower found on one female plant and use it to fertilize another female plant. Spraying gibberellic acid. This method is a lot less common because it is a lot less desirable. Because seeds that were produced in this way only contain one set of genes, each plant will be nearly identical to its parent plant. This is sometimes referred to as “cloning by seed” and will not produce any male plants. Most growers of feminized seeds do not use this lengthy method, and most seeds turn out to be hermaphrodites, sometimes causing flowers with seeds in them. The vast majority of experienced Cannabis growers refuse to use feminized seeds. 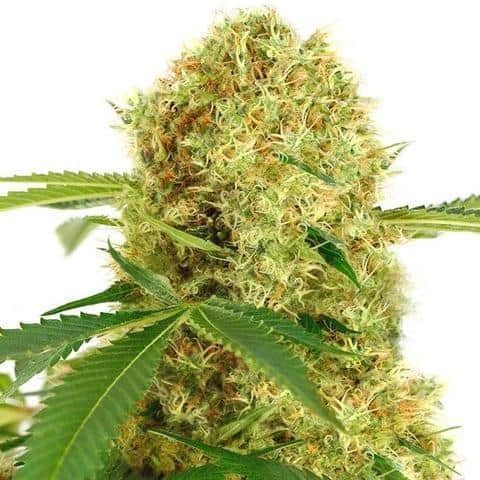 Also note that, while feminized seeds provides a quick and easy way for beginners to get into the market and fairly quickly produce a harvest. Feminized seeds should never be used for breeding purposes. Once the seeds are mature, the female plant begins to die and in the process seeds are dropped to the ground where they will lie dormant until the next growing season, when they will germinate and grow into brand new Cannabis plants. Note that they can also be harvested and processed into Hemp Seed Oil, food products or the next generation of Cannabis plants. Cannabis plants depend on the photoperiod in order to begin their flowering cycle. The photoperiod is the length of time in which they are exposed to light each day. Flowering happens when the photoperiod is reduced to approximately 12-14 hours, irrespective of how old the plant is. A certain variety of Cannabis, Rudelaris, has learned to begin its flowering at a specific age, rather than responding to an altered photoperiod. Rudelaris features a low THC level, but certain growers have crossed it with other more potent strains in order to produce strains that have the characteristic of Rudelaris to “auto-flower” at a certain age rather than when the photoperiod changes. These strains are cultivated to produce Indica-, Sativa, or Hybrid-like Cannabis plants that begin their blooming when they reach maturity. 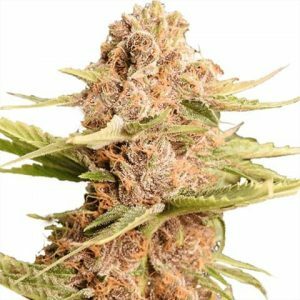 Related Article: Autoflowering Cannabis Seeds – Photoperiod? This scenario is desirable, especially in no rthern climates where the summers are very short, and where cold and wet weather sets in very early in the fall. It has been found that with auto-flowering strains, planting can be started early in spring. These plants will then specifically flower during the longest days of summer, and by doing that, take advantage of the highest quality of the light that is available in such an area. Be careful however to keep in mind that, unlike clone mothers, you cannot keep these auto-flowering strains in a vegetative state. The Difference between Cannabis Seeds and Cannabis Clones. Clones are cuttings that were taken from a mother plant and cultivated to maturity by putting it in a growth medium such as water with nutrients to help it grow roots. As soon as the roots are strong enough, the clone is planted in soil, from where it can grow into a mature plant. Note that a clone will always be identical to its mother plant, which is the plant from which it was taken. A clone will carry only genes that were transferred from the mother. Unlike clones, plants grown from seeds carry genes from two plants, a mother and a father. These genes can manifest in in numerous different combinations. Some traits will be that of the father plant, and other traits will be that of the mother plant. Certain other traits will be a combination of those born by both parents. It is extremely difficult and a long process to create Cannabis plants that are identical by using seeds. In most cases, Cannabis growers will plant many seeds and take the best plant from them. They will then take clones from that particular plant to grow Their Cannabis flowers. They can also acquire a clone from a mother plant that was grown by a grower and that has already proven its good qualities. Where to buy Cannabis Seeds? 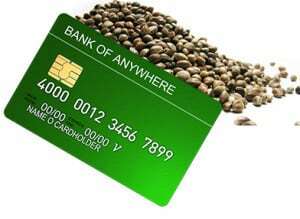 Cannabis seeds can be obtained from various seed banks that can be found online. Many are situated in UK, the Netherlands, Spain, and Canada. The laws on Cannabis are much more relaxed in these counties than in most other countries. Note that the United States has laws in place by which your package potentially can be confiscated by US Customs and Border Protection. However, there are dispensaries in certain states that do allow home-growing. Seed banks in some of these states will sometimes ship to any other state in the US. Depending on where you are situated, it may either be legal or illegal to sell, buy or possess Cannabis seeds. In the US all Cannabis seeds are considered illegal at the federal level unless they have been sterilized. Note, however, that all states that allow Cannabis growing (medical or otherwise) are technically breaking these federal regulations. Therefore, should you have a grow license or medical recommendation in one of those states, and you follow those codes, it is probably legal to have Cannabis seeds in your possession. Seed banks in certain other countries may sell products “for souvenir purposes only”. Because of the wording, US Customs and Border Protection will confiscate all Cannabis seeds that they find in packages that are shipped into the US. In their natural state, seeds are dropped into the soil by female plants as they die in fall. When spring arrives, the weather changes to be more suitable for growth, and the seeds germinate naturally, flower, form seeds and the process starts all over again. Traditional outdoor methods were used for centuries by merely sowing the seeds by hand onto cultivated land. Today’s growers have more sophisticated methods, such as potting, growing rooms, hothouses, etc. It is easiest is to put the seed in potting soil. Cover with approximately ⅛ to ¼ of an inch of soil. Remember that the seeds, sprouts and seedlings need enough water and warmth, so keep the soil moist and at a relatively warm temperature of about 50-70 degrees Fahrenheit. Quality lies mostly in genetics. The better the genes, the better the seed will be. Only experience can eventually lead you to know exactly what you are doing, and how to do it to achieve success. And remember the golden rule about any business whatsoever: if it sounds too good to be true, it probably is. Do not buy ANYTHING from people who cannot prove a good reputation. Cannabidiol, or CBD, is a Cannabinoid found in the Cannabis plant. Much has materialized around this highly beneficial medical substance recently. To read more about CBD and CBD Hemp Oil you may visit this website. Well obviously, Cannabis seeds are seeds that are harvested from the Cannabis plant. And because Cannabis is a dioecious plant the seeds are harvested from the female plants. In this Article we cover the different cannabis types and where to buy cannabis seeds.